Whether you hike, ride, jog, or walk a dog, if you've lived in or near Chico CA chances are you've enjoyed Upper Bidwell Park, and likely left your fair share of blood, sweat, tears and cheers, in the beautiful formations of sandstone and Lovejoy Basalt. 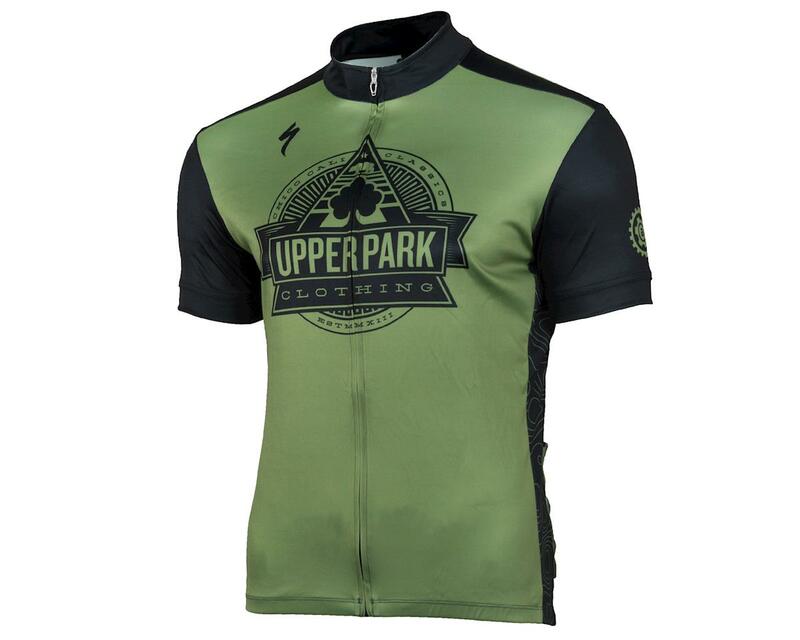 Inspired by the nature that surrounds us, and the trails we embrace, Upper Park Clothing and Amain Cycling have conspired with Specialized to release this limited edition jersey. Geometrically designed with an all seeing bear this jersey shows our California pride. Give a shout out to the passionate, dedicated, small business entrepreneurs in our local community and share the love of this wonderful environment we are blessed with. Sure, for some people, performance is all that matters—we'll leave the skinsuits for them. For the rest of us, however, there's value in matching performance with comfort, and this is where the Specialized RBX Sport Jersey thrives. 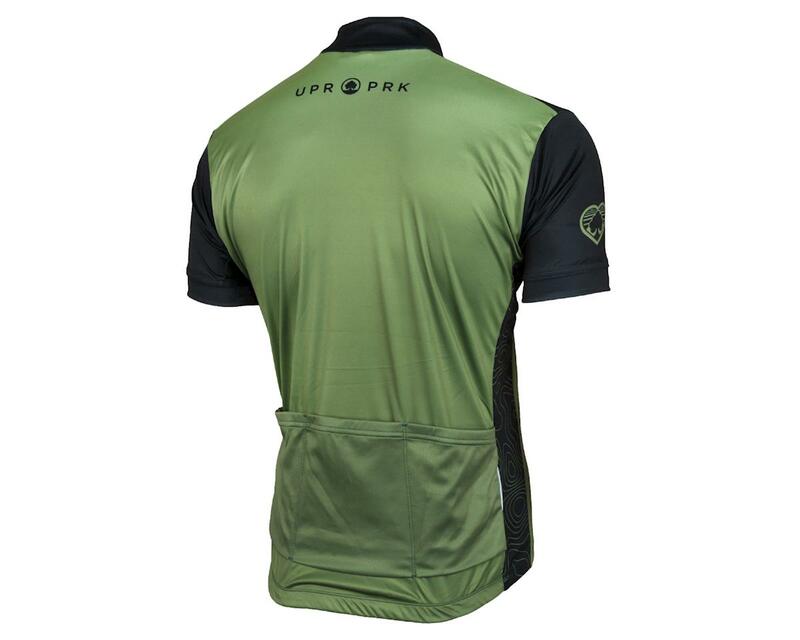 Made from VaporRize™ knit fabrics that place a focus on balancing durability and moisture management, which means that you get a jersey that stands up to repeated use without deteriorating, and is quite comfortable over the long haul. Featuring a full-length front zipper for on-the-fly venting, as well as comfortable Standard Fit sizing dimensions. You'll find that this cut is in the sweet spot between race and classic, so it's perfect for long, all-out rides, yet it's roomy enough to avoid any pinching or the feeling of being constricted in your movements. VaporRize™ fabric construction is soft, comfortable, and moisture wicking.